My family moved to Atlanta 13 years ago and honestly I wasn’t so thrilled. I had visited Atlanta as a child and what I remember is Underground, Six Flags, Little Five Points, Stone Mountain and the Omni ice-skating rink. Those are fun memories for sure, but as an adult I was looking for a different experience. Moving from the NYC tri-state area I was used to everything that a big city has to offer: culture, eclectic neighborhoods and great restaurants. Slowly I came to appreciate the unique Big City/Small Town vibe of Atlanta – it has it’s own brand of culture, eclectic neighborhoods and great restaurants. It’s not NYC and doesn’t try to be; it’s uniquely Atlanta and proud of it. And as with all things in life, just when you think “Okay, this is great, I am content” God says, “I have other plans.” Those other plans came in the form of a too-good-to-pass-up job offer for my husband in Los Angeles – about as far from Atlanta (both in geography and in culture) as we could get. Within 6 weeks we had to pack and move to Los Angeles. Family and friends were going to be missed for sure, but so was the city that I had come to love. A Note For Tourists: This is not a list of touristy things to do. If you are a tourist I will assume that you already know about the major tourist attractions: Georgia Aquarium, The World of Coca-Cola, Center For Civil and Human Rights, The King Center and College Football Hall of Fame. Those are all world-class attractions and definitely worth your time, but this list will show you the heart of Atlanta – both major points of interest and local flavor. 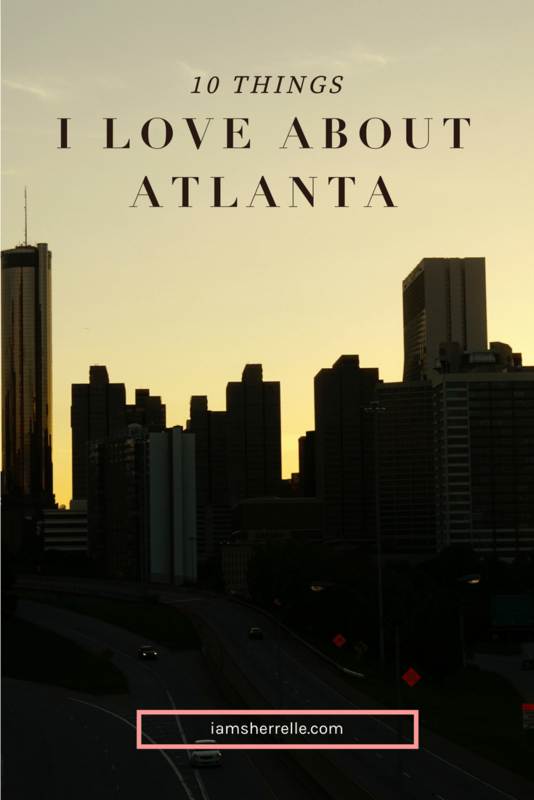 This is how I spend my time in Atlanta and why it has become one of my favorite cities. There are many art galleries and museums in Atlanta, but the High Museum of Art is my favorite. I have been to many museums around the world and the High can definitely hold it’s own with some of the best. It has a great permanent collection as well as exciting temporary exhibitions. 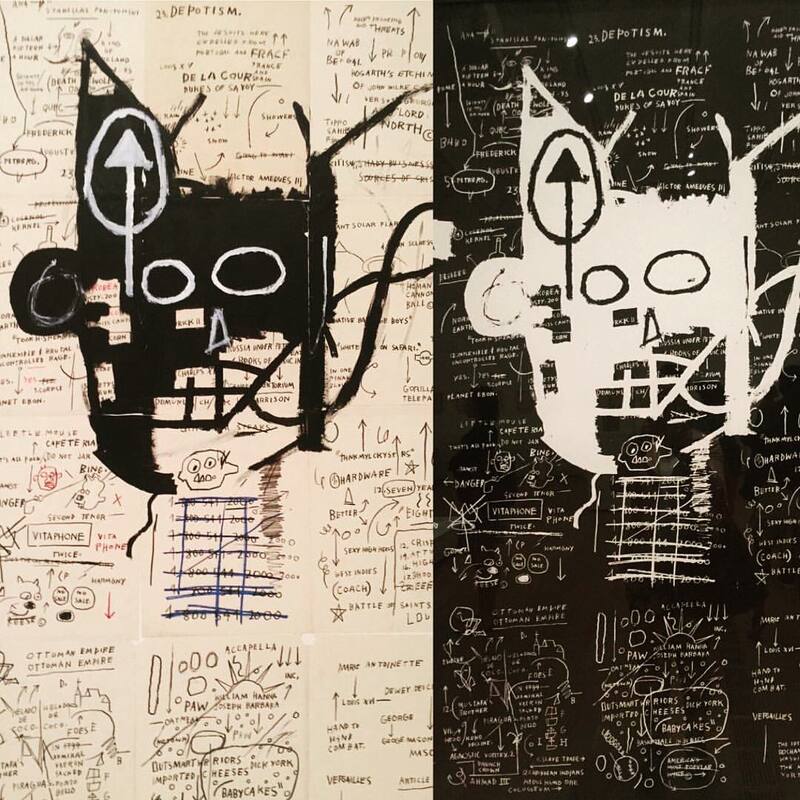 Some of my favorite recent exhibitions are: The Rise of Sneaker Culture, Walker Evans, Basquiat’s Notebooks, Iris van Herpen, Hale Woodruff, Gordon Parks and Vik Muniz. Monthly events like First Fridays with live music and Family Fun Day make the museum a community space as well. My family held a membership for as long as we lived in Atlanta and visited the museum often. 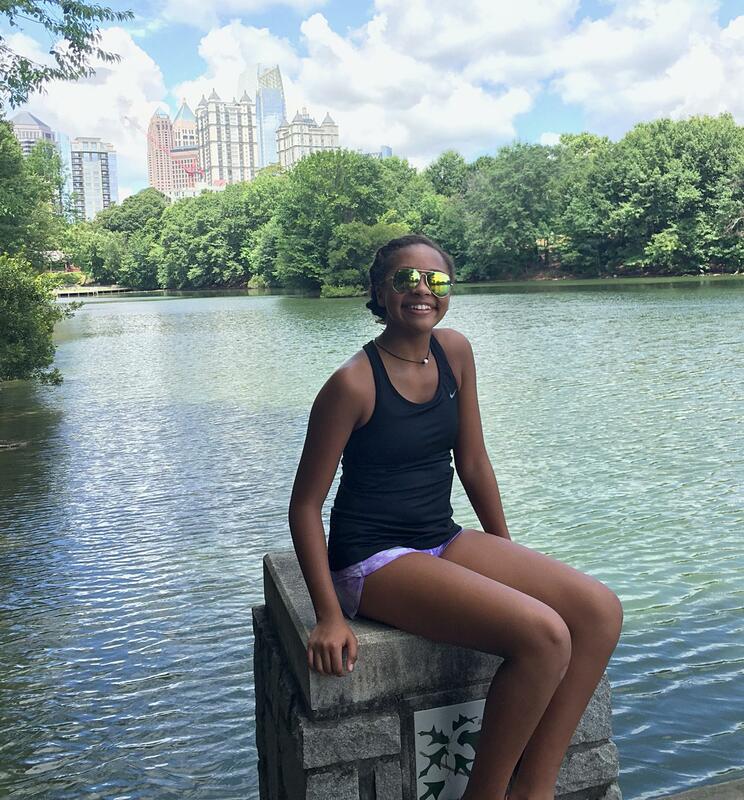 Piedmont Park is Atlanta’s Central Park, a huge green space in Midtown with a water play feature, a beautiful public pool, scenic trails for walking and biking, a sports field, tennis courts, basketball courts, 2 dog parks, fishing and playgrounds. There are festivals and concerts year around. My family spent many Saturdays bike riding and picnicking at Piedmont Park. Atlanta Botanical Gardens is adjacent to Piedmont Park. Besides the permanent gardens and the renown Fuqua Orchid Center, there is a fantastic restaurant, a children’s garden with water play and a forest walk. 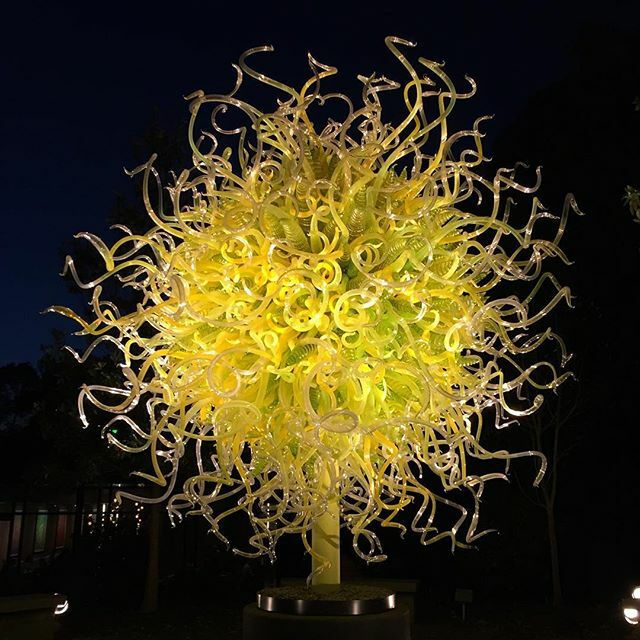 I have seen some outstanding exhibits at the gardens: Chihuly in the Garden, Niki de Saint Phalle, Henry Moore and Imaginary Worlds, huge living sculptures. Every year my daughter and I bundle up and attend Garden Lights where the garden becomes magical with millions of holiday lights. There is also a concert series on the lawn. I don’t care for baseball but I love going to a Atlanta Braves game ; I make sure to see a game at least once each season. As long as I am in the shade, I find the game very relaxing. Turner Field is beautiful and the stadium has really good food: Waffle House, Kevin Rathbun’s Steak and H&F Burger to name a few. 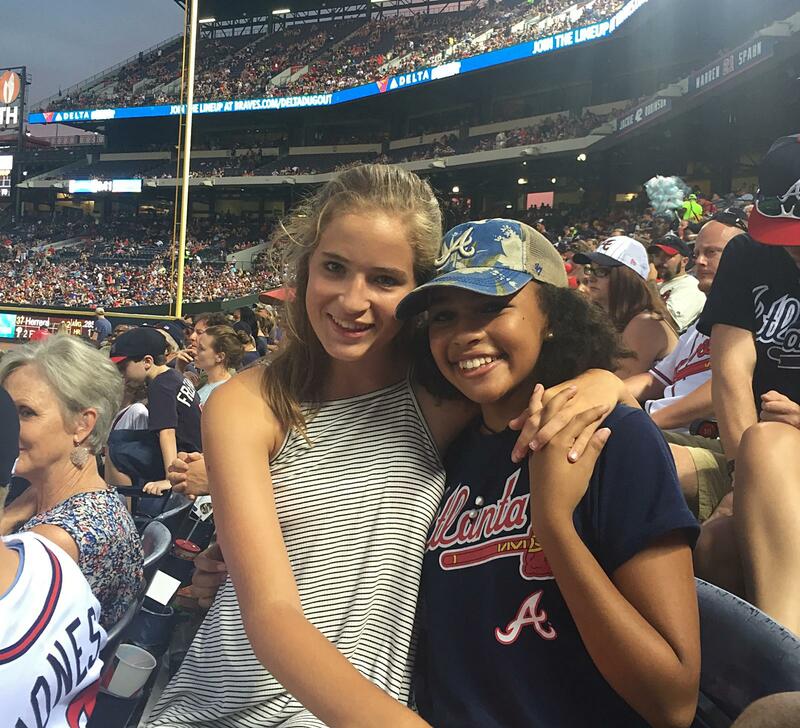 Unfortunately this is the last season at Turner Field; the Braves will be moving to a new stadium in Cobb County. I’m actually pretty mad about that. King Of Pops is a local legend. One day several years ago we saw a giant popsicle mural appear at our neighborhood gas station. Just a popsicle, no title, nothing else. Intriguing. Soon our curiosity was rewarded with a rainbow umbrella and a popsicle cart; King Of Pops was in business. Using social media to post the hours, location and handmade pops-of-the-day, brothers Steven and Nick created an organic fan base that grew that one popsicle cart in Atlanta into a successful business. Now there are carts at every festival in Atlanta, the east coast and in regional grocery stores. 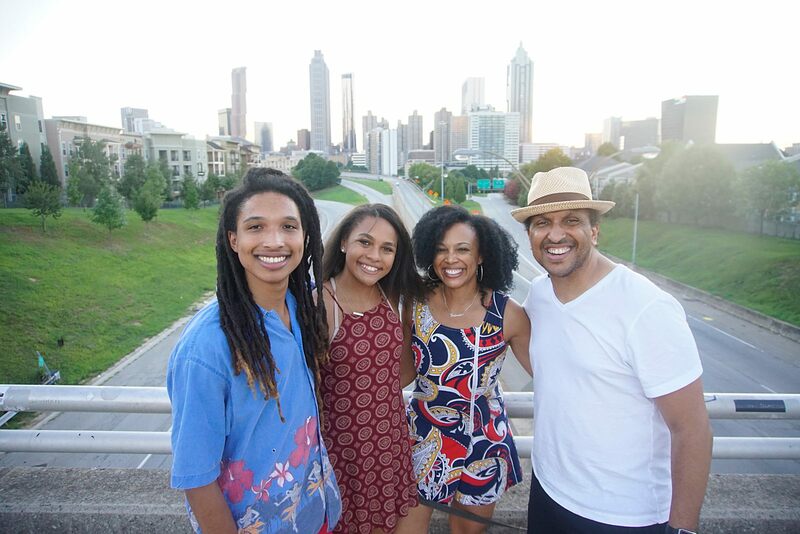 Always mindful of the city that made them, King Of Pops gives back to Atlanta with free pop days, an annual Field Day and weekly free Yoga In The Park. I wrote a blog post about King Of Pops way back when they first started and it’s still my favorite frozen treat. 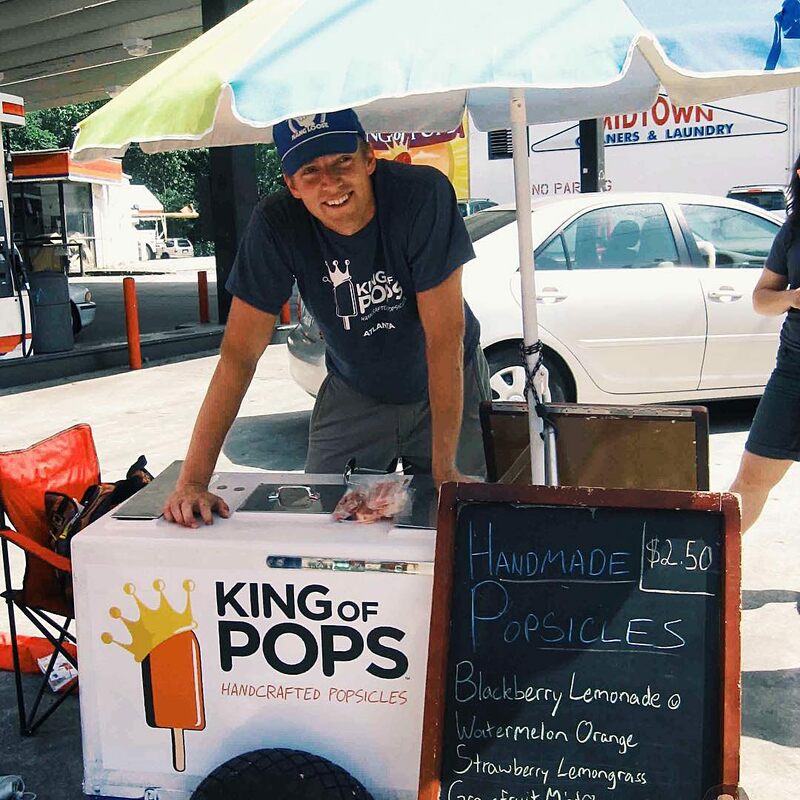 You can find King Of Pops at the original corner, the factory window in Inman Park, at every festival in Atlanta and in neighborhood grocery stores. My son once called Atlanta a “liveable city” and he’s right. Atlanta has some great intown neighborhoods that allow residents to be right in the heart of the city – just a few minutes from everything on this list – but also live in a real community. These neighborhoods are very beautiful with parks, mature trees and diverse architecture. The neighborhood of Candler Park has a cute retail district; the Flying Biscuit, Fellini’s and La Fonda are local restaurant favorites. Candler Park Market is a neighborhood gem: a grocery store, deli and impressive wine store in one. Candler Park is a great park with a public pool, tennis courts and golf course. They also have free movie nights and the annual Candler Park Fall Fest. Lake Claire is a sister neighborhood to Candler Park. It has a laid-back hippie vibe with an ashram and a Land Trust that hosts community events, monthly drum circles and an annual Grateful Dead tribute concert. The “Ski Lake Claire” banner and motto is a nod to this community’s sense of humor – there is not lake in Lake Claire. This was my neighborhood and I loved it. Inman Park is full of big historic homes like the Callan Castle, original home of Asa Candler (of Coca-Cola fame) and also a thriving retail district. Krog Street Market is a favorite local hang-out for lunch and dinner. My favorite places are Superica for really good Tex-Mex food and Jeni’s for the best ice cream. On and near Highland Avenue are cute boutiques like Bill Hallman and fantastic restaurants like Barcelona, Bartaco, Fritti, Bread & Butterfly, Beetlecat and more. The annual Inman Park Festival and Parade shuts down the neighborhood for 2 days; it’s one of the best festivals in the city. Historic Old 4th Ward is best known as the birthplace of Martin Luther King Jr., Ebenezer Baptist Church and The King Center, but it’s also a great neighborhood. Spice To Table in Studioplex has delicious Indian food and legit chai tea, the bars on Edgewood Avenue are packed each weekend and the new Old 4th Ward Park is a beautiful welcome addition. Sweet Auburn Curb Market is both a historic farmer’s market and a culinary destination with Grindhouse Killer Burgers, Arepa Mia, Sweet Auburn BBQ and Bell Street Burritos as favorites. The Jackson Street Bridge is the best location to photograph the city skyline. The neighborhood of Druid Hills is gorgeous with wide tree-lined streets, huge houses and a calm atmosphere. Emory University, Olmsted Linear Park and many walking trails make Druid Hills a great destination for non-residents as well. 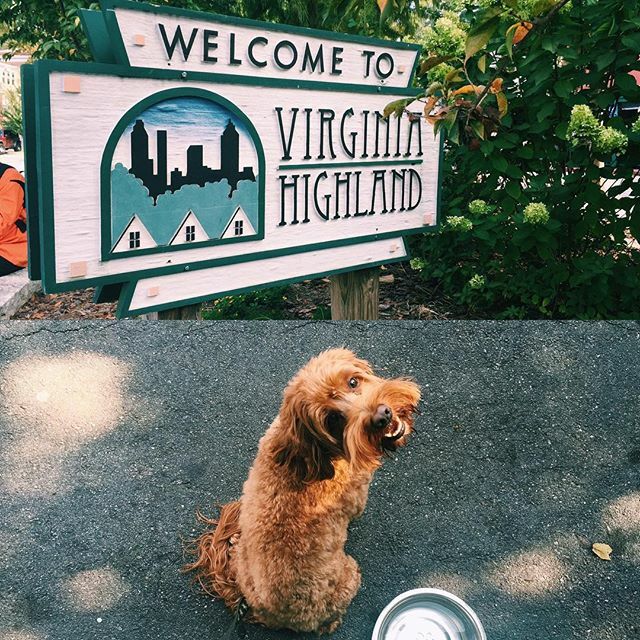 Virginia-Highland is probably the most known intown neighborhood because of it’s many boutiques, restaurants and bars. It also has beautiful John Howell Park with a green space, a sand volleyball court and 2 playgrounds; it was my kids’ favorite park when they were little. I know it’s officially summertime when Virginia-Highland Summerfest happens the first weekend in June. Live music, art vendors, a children’s play area and tons of food makes for a great all-day hang. I always see people at this festival that I haven’t seen in a long time. The neighborhood, music and art festivals are one of my favorite things about Atlanta – and there are so many! A few of my favorite festivals are: Atlanta Dogwood Festival, Virginia Highland Summerfest, Inman Park Festival & Parade, Grant Park Summershade, Sweetwater 420, Candler Park Fall Fest, Music Midtown, Street Food & Music Fest, Decatur Arts Festival, Atlanta Streets Alive and House In The Park. 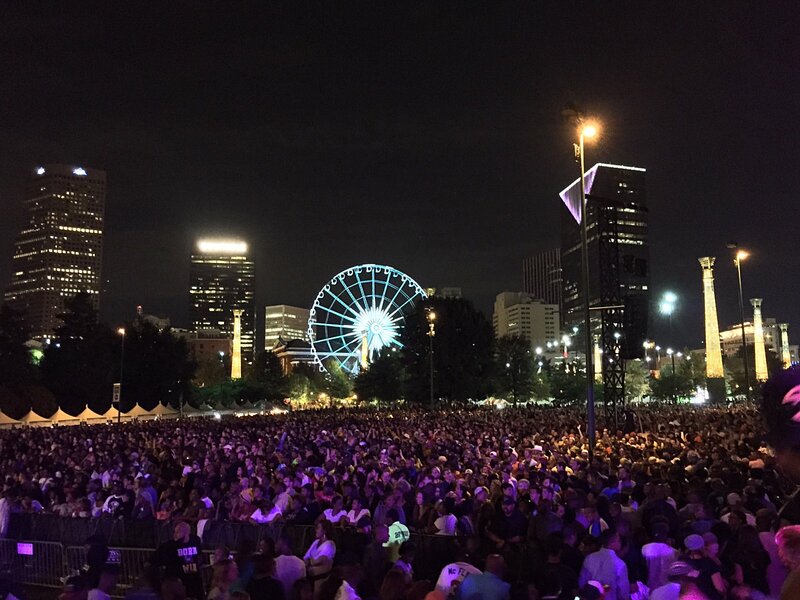 During the spring, summer and fall there is a festival somewhere in Atlanta just about every weekend. Culture, music and food makes for a easy good time. 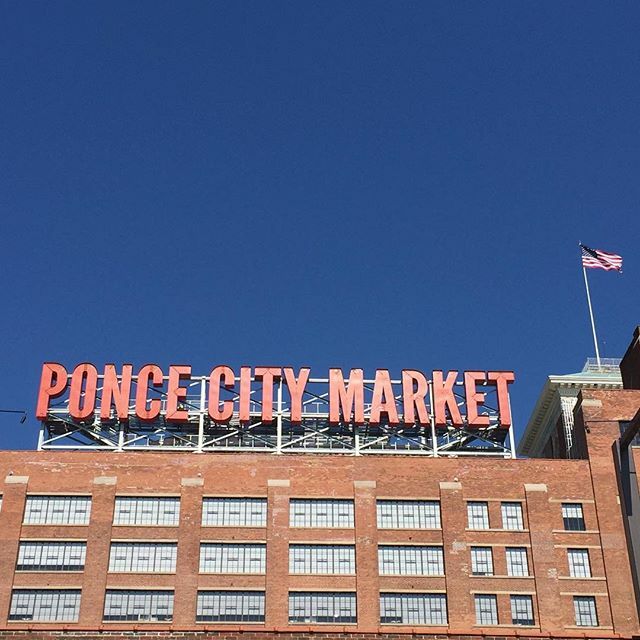 An exciting new addition to midtown Atlanta is Ponce City Market. Housed in a historic building, it used to be a Sears & Roebuck and then a City Hall before it underwent a major renovation. Now it’s work space, a residence and a fun hang-out for intown locals as well as a destination for residents outside the city (or as we say intown, people OTP – Outside The Perimeter). There are major retails chains like Anthropologie, Lululemon, Goorin Brothers, J. Cew, Madewell, The Frye Company, Mountain High Outfitters and West Elm as well as local boutiques Ponce Denim Company, Lilly Rain, Boogaloos, Archer Paper Goods and artist co-op Citizen Supply. The food hall has something for everyone, from global to southern cuisine. My favorite places to eat are: Botiwalla (Indian), H&F Burger, W.H. Stiles Fish Camp, Jia (Asian), Brezza Cucina, Honeysuckle Gelato and King Of Pops. There is a bike valet, a weekly farmer’s market, live music events and Skyline Park – a rooftop mini amusement park with a miniature golf course and boardwalk games. Or you can just sit in one of the many lounge chairs and people-watch. Just across the street is Old Fourth Ward Park and upstairs is access to the Beltline. The Beltline is awesome. It started as a thesis project by a Georgia Tech student and through many grants and fundraising efforts the great idea became a reality. It’s built on abandoned train tracks circling downtown. When the Beltline is completely finished there will be 22 miles of trails, parks and transportation routes connecting several neighborhoods. Right now there are 3 sections completed: the Northside Trail, West End Trail and Eastside Trail. The Eastside Trail was the first completed trail and the one that I am most familiar. If you’re walking the entire trail in the spring or summer you will want to apply sunblock and bring a hat because there is no shade. Before you get on the trail, start at Krog Street Market for coffee at Little Tart Bakery or at Studioplex for an iced chai at Spice To Table. If you want to bike instead of walk, there is a bike rental shop at the beginning of the trail but I warn you if it’s a beautiful weekend it will be crowded and hard to bike. Walking is the best way to see everything. Hungry? Exit on Elizabeth Street to Inman Park’s Highland Avenue to have lunch at any number of restaurants or cool off with a popsicle from the King Of Pops factory window – they even have pupsicles for your dog. Back on the Beltline keep walking; there is so much to see. There are art installations, a skateboard park, a small playground, and a large swatch of green space where King Of Pops hosts free yoga on Tuesday nights. You can exit the Beltline to Old Fourth Ward Park for a larger playground or to Ponce City Market for food and shopping. Just past Ponce City Market, Paris on Ponce is a great stop to browse or buy “antiques, art and oddities”. Back on the trail, replenish your reserves with an elixir from Arden’s Garden or froyo from Yoforia. 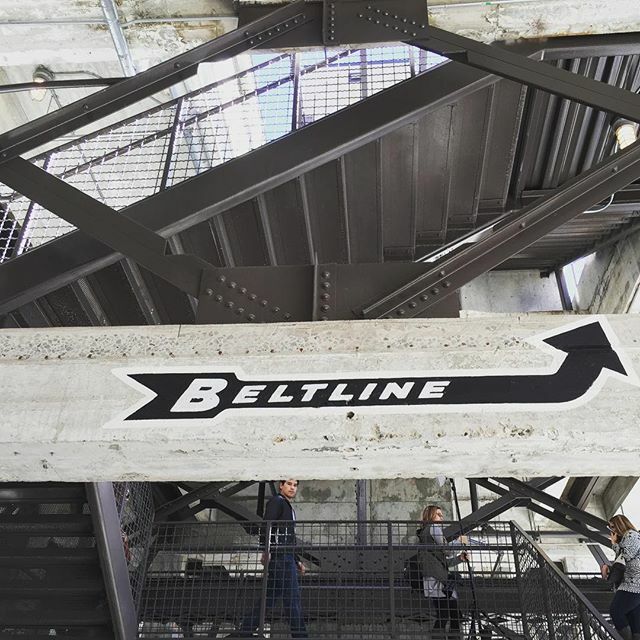 Finally the Beltline will deposit you at the beginning of Piedmont Park. Congratulations, you’ve just walked 3.5 miles but you’ve had so much fun that you didn’t even know! 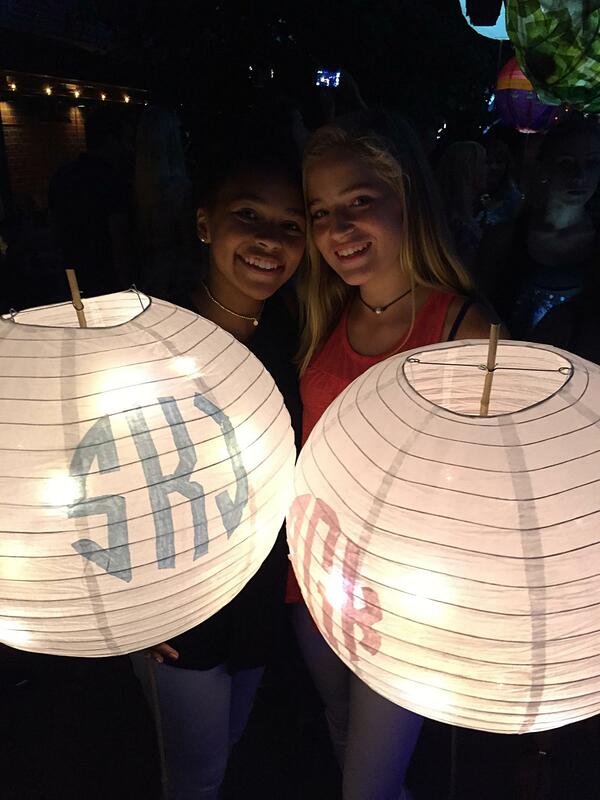 The Atlanta Beltline Eastside Trail is good to do anytime, but look out for festivals, special art installations and the really fun, really awesome Lantern Parade. As much as there is to do in Atlanta, it’s also great to get away and this is my final favorite thing: Atlanta is easy to leave. It’s a quick drive to Savannah, Hilton Head, Charleston, Disney World, Amelia Island, the mountains of North Carolina and the best kept secret of the south, the white sand and turquoise waters of 30A. Atlanta is also an easy gateway to the world – Atlanta’s Hartfield/Jackson is the world’s busiest airport with multiple international carriers and flights each day. 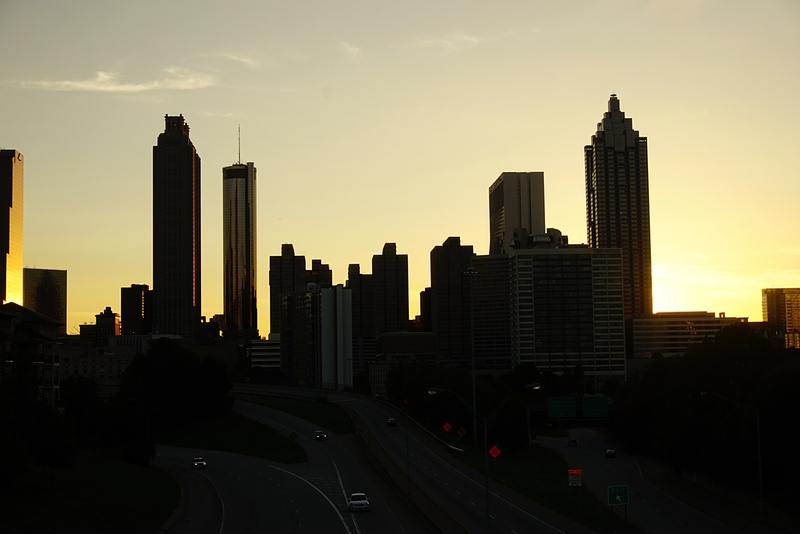 Atlanta is a great city; we’re going to miss it, but we’ll be back often to visit. Atlanta is always growing and changing; it will be exciting to see all the changes that the city will make in our absence. This last photo was taken the day we left for Los Angeles. Goodbye Atlanta; we love you! I am so happy that I found your blog on Pinterest! I am a travel and lifestyle writer as well and I live in Atlanta. I moved here almost 5 years ago and I love it! Everything you said in this article is spot on. I have seen so many exciting developments since I have moved here. I also love California so I hope you are enjoying LA. Beautiful family! I miss Atlanta; what a great city! It’s just about festival time there now and everything is in bloom.